Starbucks is a major buyer of Darigold milk. They need to take social responsibility for the products they use to make profits from. To date, the UFW & the pleas of the#DarigoldDozen pleas to corporate headquarters have gone unanswered. It’s time for Starbucks to take social responsibility for the products they use. Can you call Starbucks and tell them to meet with the UFW and Darigold member dairy workers and use their influence to resolve this issue? b) I’m concerned Starbucks is buying milk from Darigold, a company which sources milk from dairies that violate the law and subject women to sexual harassment. c) Starbucks needs to commit to immediately working with the UFW to ensure that working conditions on Darigold dairies comply with the law and are dignified for the women and men employed there. 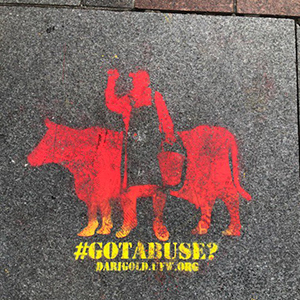 For background information on the #DarigoldDozen campaign click here.